New series of NEX news. 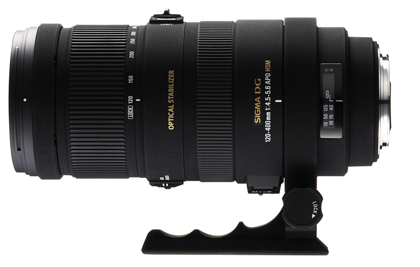 The new Sigma 120-400mm f/4.5-5.6 AF APO DG OS HSM has in-lens stabilization. It will have the same price as the “older” Sigma 120-400mm f/4.5-5.6 AF APO DG HSM Telephoto Zoom Lens for Sony Alpha Digital SLR Cameras . Sony Alpha Sony Alpha Sony Alpha Sony Alpha Sony Alpha Sony Alpha Sony Alpha Sony Alpha Sony Alpha Sony Alpha Sony Alpha Sony Alpha Sony Alpha cameras do come with in-body stabilization so I am not sure if it makes sense to use the new lens if the image quality remains the same (that has to been seen). We noticed at least two curious “poblems” if not “conflict between Sony and Amazon. 1) Phil Askey from dpreview wrote: “Having spent a considerable amount of time producing previews of both cameras we were slightly surprised this morning to see full reviews of the NEX-5 on another sites who were apparently given production cameras (which we were promised but never received). We only received pre-production models and honored Sony’s request not to publish images.” Important notice: Dpreview is owned by amazon! 2) Amazon US is usually fast in offering pre-orders when a camera has been announced. After three days amazon is the only major shop in US to not offer the NEX cameras for preorder! As you can see here, Adorama, BHphoto and RITZ do list the NEX cameras. Anyway I believe in both cases we only saw a comunication problem between the two giants. Reminder: The new Adobe CS5 suite is now shipping! On photoshopuser.com/cs5 you can see a very well done list of the new features. Toru Katsumotoe (Sony Senior General Manager) has been interviewed by ePhotozine. – The E mount distance from lens to sensor is 18mm and it needs to be at 44mm for A mount lenses to be effective. – Autofocus should be working with the adapter and we have engineers still working very hard (maybe we can do it on a firmware upgrade). Lens body is using two motors. One is electromagnetic and completely mute so that it will not record the motor sounds during film-recoridng. Originally the Alpha lens adapter was planned to support contrast type AF. But because of complications it has been removed. It Future firmware updates could add autofocus support! LCD automatically adjust brightness sensing external light source. The LCD has 55% more brightness than the LCD from the Sony A550 (contrast is also higher). NEX5 face recognition can distinguish between adults and children faces. The NEX menu interface has been designed by Sony Ericsson mobile phone unit (to ensure ease of use). The NEX system will be produced in a new plant in Thailand. There will be no reduction of the Alpha system production. Sony DSLR offensive will focus on Europe. Sonys goal is to sell 10 million worldwide NEX cameras. P.S. : Feel free to publish the news on your blog but we would be happy if you link to us :))))) Thanks! New NEX preview on Photoradar and Quesabesde.